Future Floor Carpet Care are fully trained and have the most up-to-date cleaning equipment to take care of all of your upholstery cleaning needs. We find that upholstery is often the most overlooked area in a home or commercial facility. It really should be, like other soft furnishings, maintained from the very start. After all you've invested a good deal of money and regular cleaning maintenance will help protect your investment. This of course is not to mention "cleaning for health" you probably would not want to know what we extract out of the fabric you sit on. 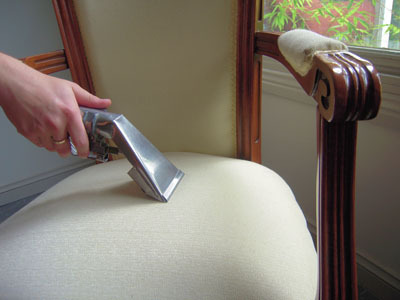 All upholstery cleaning must start with a pre-inspection and assessment of your chairs. We will be able to advise on the best cleaning method and give you a realistic expectation on what you can expect on completion of cleaning. We have been doing this for a long time and through that experience we can say you will get the best possible results. As with all things, you will get what you pay for, perhaps a better way is to ask yourself the question, "what value am I getting for my money"? If you are looking for the best value for money please call us.